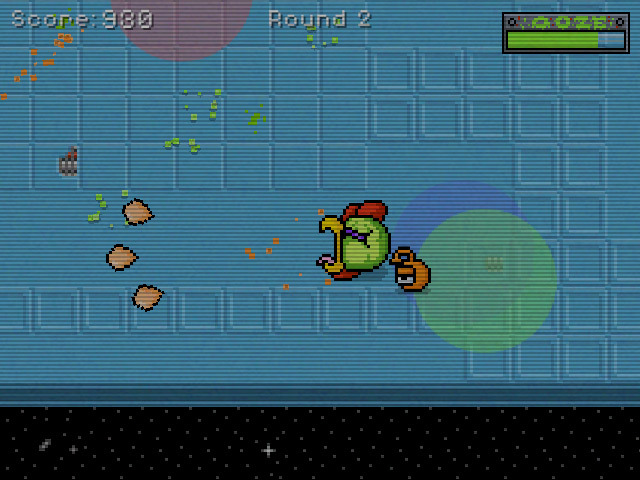 "A retro shooter where you are a Mutant Chicken!" 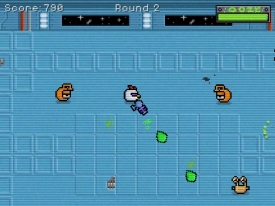 Mutant Chicken death jam is a game built for one of the Ludum dare game build competitions and while it’s rather retro in its looks it’s a great fun little shooting game where you must kill your enemies with your lead character the previously mentioned Mutant Chicken and his plasma gun, if you kill enough enemies in succession your chicken will mutate in to a big scary chicken that will destroy anything in its wake. It’s not a game that will keep you hooked for hours unless you are in a particularly retro mood but it is fun for at least a few minutes and is simple enough for anyone to be able to pick up and play straight away. You can download Mutant Chicken death jam here for free.